Look ma! No cars! CicLAvia is this Sunday. CicLAvia weekend is here Source readers, but there’s lots of other stuff to do before the big event on Sunday. Like movies? Tonight check out the John Leguizamo in Person at the Egyptian Theatre (Red Line). He’ll be discussing his role in the movie Moulin Rouge. 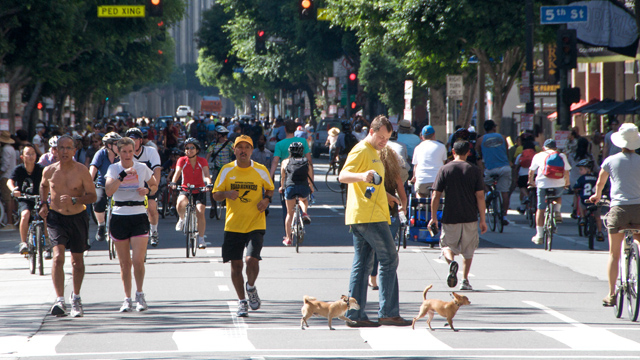 CicLAvia isn’t the only eco-friendly event this weekend. The New World Fest (Line 733) comes to Santa Monica all weekend to celebrate green science and technology.